When I see peeps they just make me happy and I know Easter is near. I will be honest here, I am not a fan of eatting them but they are just so darn cute I love using them. 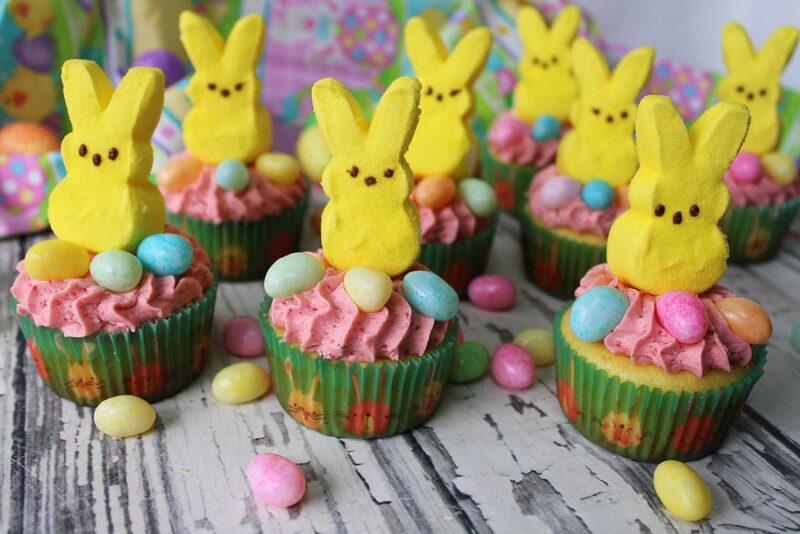 Making these Easter Cupcakes was so fun, if you like peeps then your decorations are edible. When I made these cupcakes I used the combination of my Lemon Cupcake and my Strawberry Frosting. The combination of the two flavors is very spring like and yummy. I decided to fill these with a marshmallow filling , this is optional but so much fun when you bite into these cupcakes.